- Anonymity, long thought to be one of the reasons people misbehave in online games and online in general, may actually be a powerful tool for correcting bad behavior, according to researchers in Singapore. In a recently published study into the effects of player anonymity on cheating in online games, Vivian Hsueh-hua Chen and Yuehua Wu found that players cheat because the online gaming groups they belong to view cheating as an acceptable behavior. More importantly, the study found that because players were anonymous in these groups, the influence that the groups' views of certain behaviors had on its members was very powerful. In other words, the anonymity associated with many online gaming communities reinforces that group's own powerful set of social norms and makes those who belong to the group feel obliged to follow those rules. In the study, Group identification as a mediator of the effect of players' anonymity on cheating in online games, Chen and Wu examined the gaming habits of more than 900 teenagers and found that the more people gamed with strangers online, the more they cheated. But that was because, according to the study, "deviant behaviors online, such as game cheating, are largely influenced by the online social groups people feel they belong to. An online group, despite its fluid, unstable and imaginary nature, is powerful in constructing and changing its members' attitudes and views on behaviors. Hence, a behavior that is perceived as problematic and deviant can be reconstructed with a different interpretation." If accurate, that means those seeking to solve issues of online misbehavior should stop focusing on anonymity and instead work to get those groups to rethink what is and isn't appropriate behavior. "In the long run, establishing healthy norms, cultures and attitudes in the gaming community will help prevent deviant behavior," Chen told Polygon in an email interview. "Just as this particular study showed, social norms under anonymous conditions will enhance cheating in games. "To get rid of anonymous gaming obviously is a big challenge and may or may not combat cheating. Therefore, to establish a social norm where the online groups no longer view cheating as the thing to do may reduce the likelihood of cheating." Chen, an assistant professor in Wee Kim Wee School of Communication and Information at Nanyang Technological University in Singapore, points out that her study doesn't link anonymity to cheating, rather it shows that when a person removes their identity online, the are more likely to embrace the social norms of the group they belong to anonymously. Not only does Chen believe that anonymity isn't a contributing factor to behavior like cheating, she believes that requiring real names in games and online could have a detrimental effect on those communities. "Requiring real names can be challenging in a number of ways," she said, pointing out that verification online can be difficult and that forcing real name use could drive people away from online games or services. "Anonymity also provides a number of benefits to help people's wellbeing, such as in online counseling, so I am reluctant to recommend this." But it is a challenge to change player behavior, especially if it is so strongly linked with the perception of online gaming norms. "It may be too late to get gamers to view cheating as a bad thing as gaming communities are quite matured," Chen said. "I am however (maybe naively) hopeful that it is possible to set the right tone for new gamers and maybe even changes veteran gamers. To establish an attitude on game cheating takes time, so does change. With certain policy changes, technical features and efforts into game developers-gamer relationships, it just might happen." Chen, who is currently running two other studies into cheating and gaming, said that the key might be the use of punishment and restrictions by game developers. The idea isn't to enforce behavior through punishment, but rather to send a strong message about what is and isn't acceptable to a gaming community. In theory, that could lead to a change in social norms, which in turn would affect the way players behave because they wouldn't view it as wrong. Chen likens this approach to similar approaches being discussed to combat online harassment. Ultimately, Chen says, the solution has to come from "good game design." "If the games provide less incentive for gamers to cheat, I think it will help combat cheating," she said. "That will mean good game design that provides fair play. In fact, in my other ongoing study, we found that some gamers think it is perfectly OK to cheat if the game was not designed well. If the game is designed well, gamers tend to respect the game developers and not to cheat to ruin their great work. That is definitely something gaming company can work on with gamers." Good Game is an internationally syndicated weekly news and opinion column about the big stories of the week in the gaming industry and its bigger impact on things to come. Brian Crecente is a founding News Editor of Polygon. There are 13 READER Comments. Great article. Although, I’m less worried about anonymity making players ‘cheat’ and MORE worried about anonymity making racists feel INCREDIBLY comfortable in every game session. Borderline ruins online gaming all by itself. It looks like this is discussed, or at least touched on, in the article. I think the same theory applies to hate speech—the societal norms of any online community can help or hurt the cause and where moderators are actively punishing users for hate speech, they should be doing something similar for cheating. I’d agree with you if taking 5 seconds to mute the guy teleporting around instagibbing everyone in the sky in Planetside 2 protected me from him. Half the reason I don’t even bother to put on a mic. Half the games I’ve been in have gone from fairly pleasant to dreadfully terrible in a matter of seconds. I don’t think ‘cheating’ is the right word to use in this context, it needs something either more specific to what they’re referring to or less value laden. In my mind ‘cheating’ is something you do by inputting codes into a game, either in game via button-combination or cheat cartridge/disc/whatever. Consequently the last time I can recall anyone ‘cheating’ was using an Xploder cheat cartridge on Gameboy games, which is about as far from the concept of ‘online anonymity’ as possible. Admitadly this is an area I haven’t given much thought to myself, so I don’t have any reallt good alternatives, but just like ‘content sharing’ is often a far more accurate term to use than just ‘piracy’ there has to be something better for this kind of study. Check the source link within the article, it details “game cheating” for the purpose of the study in the Abstract in section 2.1. 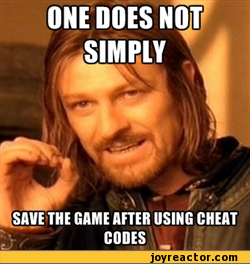 No, but seriously, I hate anti-cheats. I miss the days when you could just go into your favorite singleplayer game and just mess with the insides and have fun just because you’re fascinated by it. Nobody wants to prevent you from testing the limits on your single-player experience. Preventing cheating in online games fosters a much better competitive (or cooperative, depending on the game) environment. This is harmless. But it’s when you have a multiplayer environment and one side is cheating to get all the best things, and ruining it for everyone else. A single player game is often done once it’s out. You don’t need to worry about expansions or DLC unless you REALLY want to. It doesn’t need anything more. And modifying it’s guts doesn’t affect anyone else’s game. Skyrim with all it’s mods doesn’t change how I play the game, after all. A multiplayer game on the other hand needs players to validate it’s existence, often it has ways to keep players paying, and if a small group of cheaters ruin the game for the majority of other non-cheating (or lesser) then your income stream has just dried up and the game has to be shut down, and any expenses you did not recover is forever lost. Now, are mods considered cheating? I’m not talking about aim bot mods, or that. But like in Halo 4 where new gametypes have been created by modders. If that is, then I am completely for cheating. I am opposed to Online mods that boast or alter leaderboards. I don’t believe Mods are cheating as long as they don’t just benefit one person or small group of people. Modding to add maps to a game doesn’t hurt anyone because anyone who wants to can get it and use it. If you don’t, it won’t harm you. But an Aim Bot that only one player can use and gives constant headshots? That’s harmful, because a select group has it, and no one else benefits. There is a big difference between modding and cheating. 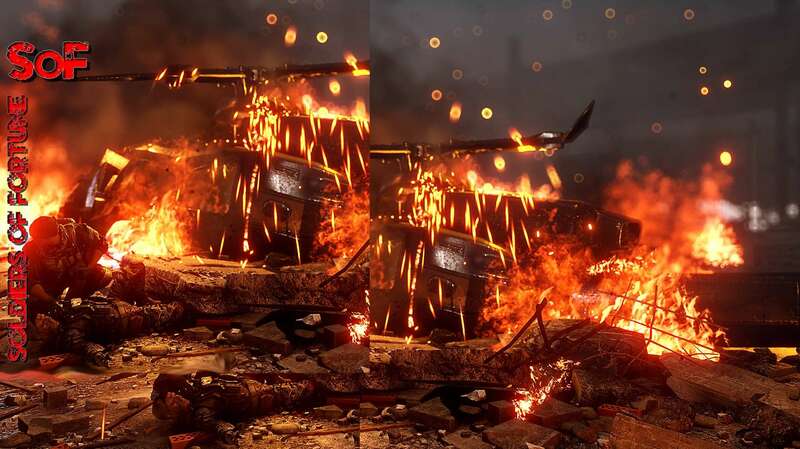 Modding a game used to imply, at least on the PC, that this ‘mod’ could make the game more fun for everyone by adding a new feature like a gun to multiplayer or a new multiplayer game mode. Like what Bungie did with Halo 3 and Halo Reach that is fine, in fact it extends gameplay. But then you have cheaters people that modify a game that isn’t meant to be modified. Such as on PSN and Xbox Live essentially these people create an unfair advantage for themselves thus cheating for a win, which is the most pathetic way to win. To be clear I don’t like cheaters on online games because it detracts from the experience that the developers wanted players to have. While mods if available to everyone as they are on PC can extend life of games.